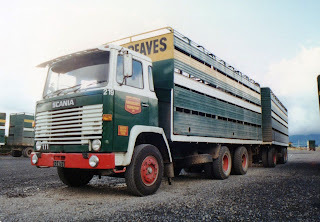 Going through my photos from the beginning I am finding lots more that I have not previously published. 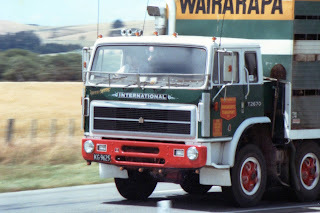 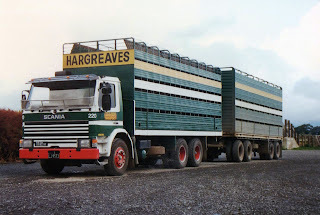 In the 80s the green/white/yellow of the Hargreaves Transport/Transport Wairarapa fleet was seen everywhere, mostly with stock crates on truck and trailer. 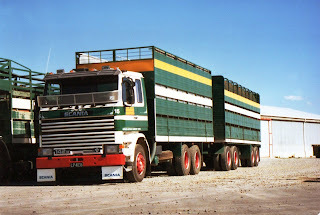 This Hargreaves liveried Scania R142m with the 14 litre V8 is at rest in the Masterton yard. 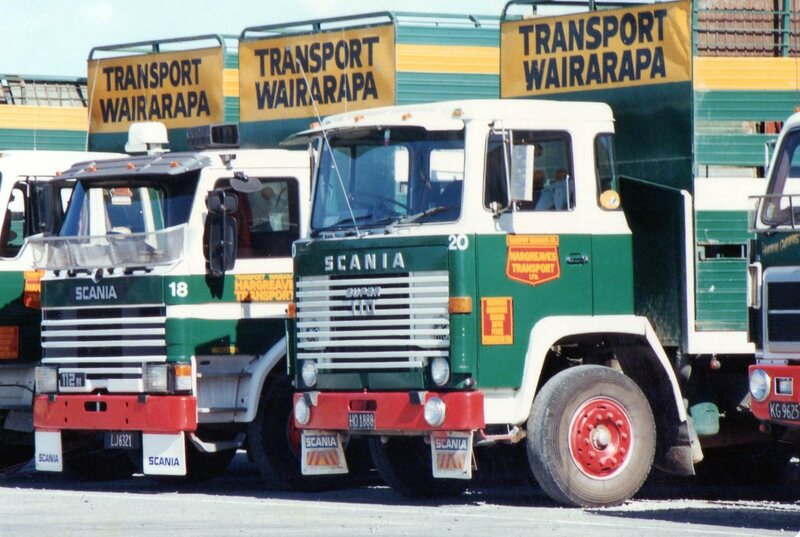 Also in the Masterton yard are this new P112m and earlier LB110 from Scania. 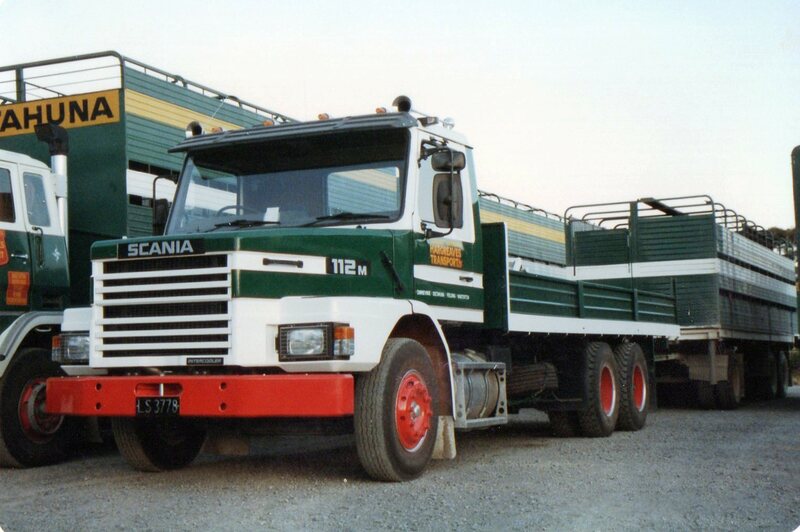 Another P112m. 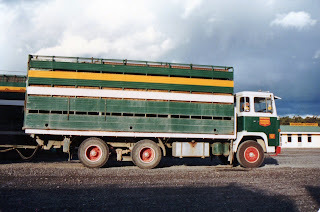 This time Hargreaves labelled and in the Dannevirke yard. 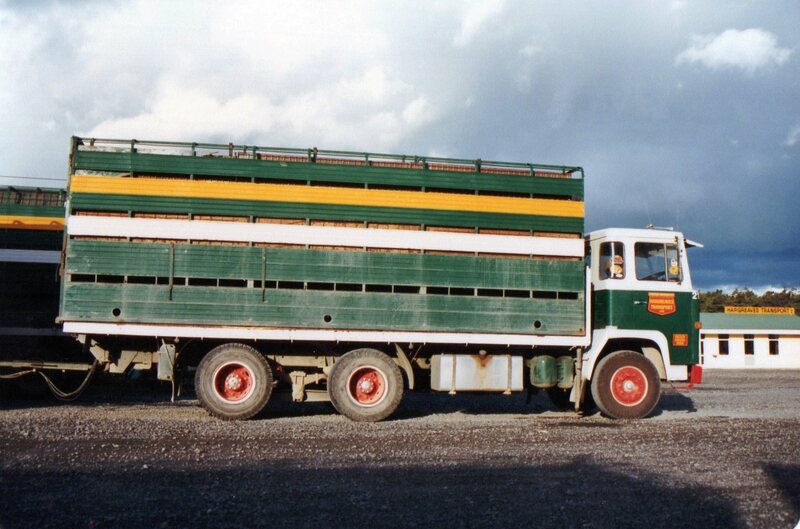 Again in the Dannevirke yard is this LB111 with unusual rear axle spread. 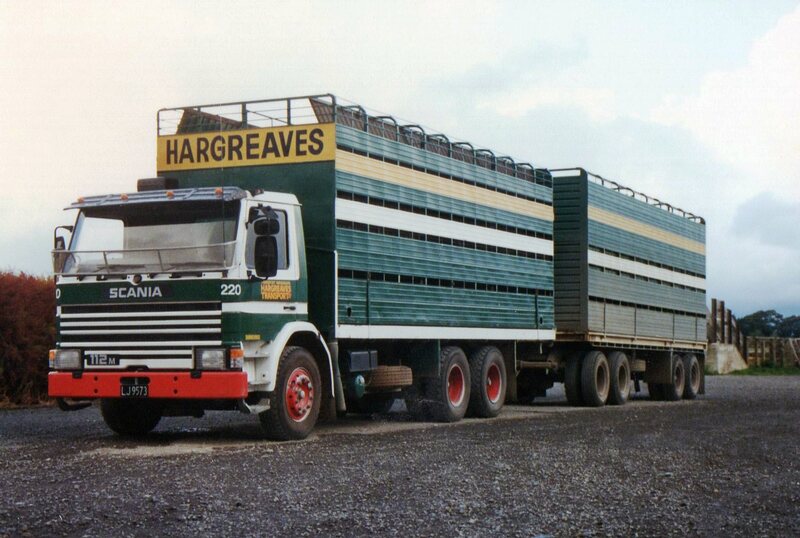 Another view showing the spread of what I believe is a Hendrickson rear end. "Happy Cummins" on the road north of Masterton. An Australian built International T2670 and I think that may be John Waters at the wheel. 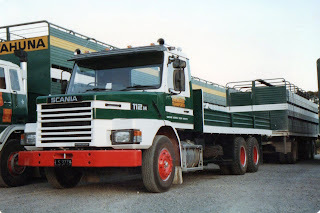 A T112m from Scania at the Masterton yard. Notice that the truck to the left carries Eketahuna on the front of its crate, indicating its "home" yard. 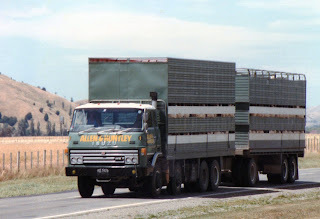 Allen and Huntley also ran green trucks, but in a lighter shade. 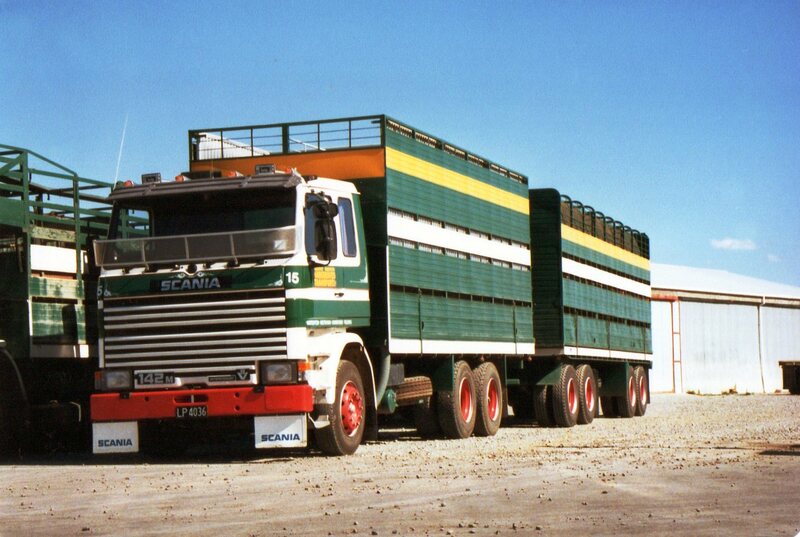 This 8 wheeler Isuzu must have been one of their last purchased trucks before they disappeared.